Found a larger and clearer image of this one. I know Michael looks angry, but he's not. Funny still. I'm going to have fun with these pictures. Many more people should have been there. 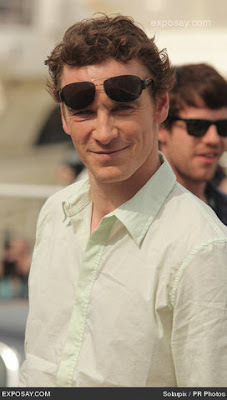 This is Michael Fassbender! That damn cigarette. Well, he's signing autographs. I want his shoes, and hers. Just standing there looking good. Ahhhh, that's the happy Michael we know and love! WINNER!!! 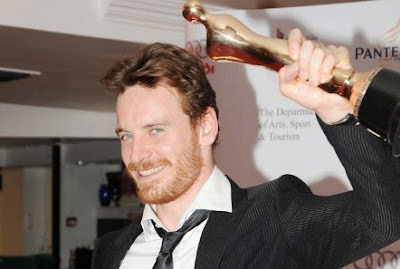 Never seen this one from the Irish Film & TV Awards. Yeah!!! I'm not one to preach, I may ride on Michael a bit about the 'damn cigarette', but it's all in good fun. I just think it's funny as he doesn't do a damn thing to hide it out in public, and that's cool. 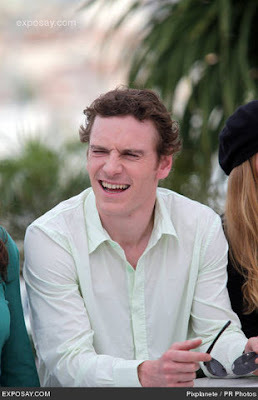 Still nothing new on the Fassbender front, the break is good, I have a few things on my plate at the moment. 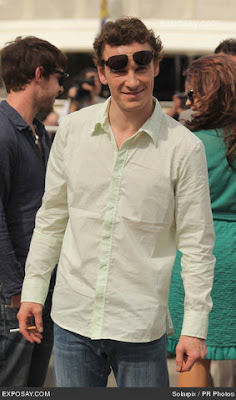 I hope you enjoyed these latest images from Cannes and of course if/when I find more, I'll promptly post them. If you find some, do please email me the link where I can find them and I will give you proper finders credit. A few images of Josh Brolin on the set of 'Jonah Hex' have been posted on the internet yesterday, I'm on the lookout for the first glimpse of Michael as I know he's down in New Orleans right now.